My wife wants to write fiction books for children. For nearly a decade, she has had these brilliant ideas that she has wants to bless our youth with. Yet, she has not written one word. Because the tales she wants to write are speculative fiction – high fantasy to be exact – and she has no clue where to begin. One, because she – like so many other people of African descent – did not read speculative fiction growing up. Because she – like so many other people of African descent – did not see herself in works of Black Speculative Fiction, thus had no desire to read such books. To this day, my wife will read volume upon volume of non-fiction – especially if it deals with African history, sociology, or spirituality – but, she has yet to get past chapter one of any work of fiction, let alone even picking up a work of speculative fiction. And two, because she grew up in a time when, in the school system, conformity to rules and regulations is more important than creativity. This wounds me deeply. I hurt for my wife – and the millions of people like her – because she is a gifted writer. The little that she has written (poetry and a page or two of fiction) is well organized, has a solid structure, and she even has a strong, unique and engaging voice in her writing. But she is so stuck on whether or not her writing meets the standards taught to her in school – standards that she is also quick to point out to my son when he does not meet them – that her writing never goes anywhere. You see, my wife – and, indeed all of her fellow Generation Y-ers – were educated in a system that didn’t care about originality, they only wanted to see that students conformed. She was supposed to follow the rules. Sadly, things have grown worse. The present generation thinks that good writing means writing that follows a formula. No wonder there is so little originality, or even creativity, in what is written today. Creativity cannot be conceived without Mother Speculation – the powerful “what if” that brings into being new worlds and extraordinary inhabitants within it; Creativity cannot be birthed from the hard and rigid womb of “standardization”. In order for our youth to get a proper literary education – and indeed in order for them to carry forward a brighter future – they must read science fiction and fantasy. For more on this, please read https://chroniclesofharriet.wordpress.com/2012/04/10/why-black-children-need-to-read-write-science-fiction/ and https://chroniclesofharriet.wordpress.com/2012/04/17/what-we-can-learn-from-the-chinese/. Our youth must also be involved in discussions about books, and they have to practice their writing craft. And just what is this thing we call “writing”? If we’re going to learn how to do something, it makes sense, doesn’t it, to understand exactly what that activity is? But it is not so simple to come up with a comprehensive definition of writing. Is it the kind of writing we learned how to do in school – academic writing? Is it poetry? Is it prose? Is it the writing we have to do at work – reports, memos, and so on? Is it keeping a journal? Writing can include all of these things. However, learning how to write a short story does not teach you how to write a poem; writing a poem does not teach you to write an essay. 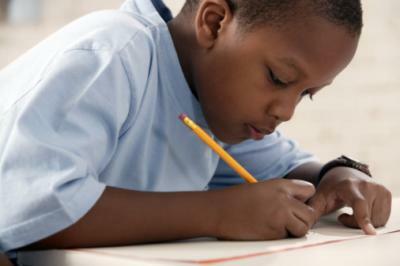 How, then, can we find a comprehensive definition of writing for our youth? I believe to discover the definition lies in changing the way we think about writing. Instead of thinking about writing as a product, we should think about it as a certain kind of doing; as an activity; as a particular kind of work. Specifically, the work of communication; the work of transferring what is in our minds to the minds of our readers, through the medium of the written word. This work of communication can be done in different ways, depending on the kind of writing we are doing. In a persuasive essay, for instance, we use ideas and information to make an argument that we hope will convince our readers. However, in a work of fiction, we use a character, setting and plotting to tell a story we hope will entertain and inspire our readers. In all writing, though, the basic goal is the same – to communicate what we have to say to others in a way in which we are understood and can effect change. However, we will not bring about any change without first asking if a change is necessary. Asking “what if” is the stuff of speculative fiction. So, once again, our youth must read it. For the past few weeks, I have been teaching my young writing students to write speculative fiction and encouraging them to read more of it. They – and several other schools – have been creating speculative fiction presentations for the upcoming State of Black Science Fiction Youth Symposium, which takes place in Atlanta, GA on May 5, 2012. This exciting symposium brings together a group of Black authors of speculative fiction – in conjunction with the Auburn Avenue Research Library on African American Culture and History – who will host the day-long event, which spotlights science fiction and fantasy as a signature intersection of science, history, technology, and humanistic studies. This symposium will serve as the blueprint for a national conference. The symposium will feature scholarly panel discussions involving authors and artists of African descent who will showcase their involvement in their respective genres and subgenres of fantasy and science fiction across various media, as it relates to issues of cultural, scientific and technical development. The symposium will also feature a writers’ workshop, a presentation by young writers from African-Centered schools throughout Atlanta Metro and readings by authors L.M. Davis, Milton Davis, Alan Jones, Alicia McCalla, Wendy Raven McNair, Balogun Ojetade and moderator Ed Hall. This symposium is Step One in raising the awareness of Black speculative fiction among our youth and in inspiring them to grow into the bright future of Black Science Fiction and Fantasy – and indeed the world – they are destined to become. This event is free and open to the community. For further information, please join us on Facebook at https://www.facebook.com/events/172270232890661/. Ed Hall – Alabama escapee Ed Hall writes journalism, poetry, and fiction. He serves as host of Eyedrum’s monthly literary forum, Writers Exchange, and as an organizer of Eyedrum’s annual Experimental Writers Asylum (which is part of the Decatur Book Festival). His work has appeared in Newsweek, the Atlanta Journal-Constitution, Code Z: Black Visual Culture Now, and the Dictionary of Literary Biography. He plans to have his first novel, a sf-pionage story for young adults, come out soon. L.M. Davis – L. M. Davis, Author–began her love affair with fantasy in the second grade. Her first novel, Interlopers: A Shifters Novel, was released in 2010, and the follow-up Posers: A Shifters Novel will be released this spring. For more information visit her blog http://shiftersseries.wordpress.com/ or her website www.shiftersnovelseries.com. Alan Jones – Alan Jones, a native Atlantan, former columnist for the Atlanta Tribune and Wall Street Consultant, writes a brand of science fiction suitable for both adults and young adults. His brand of science fiction blends fanciful characters and scenarios with generous doses of philosophy and social commentary. His book, To Wrestle with Darkness, is available on Amazon, at Barnes & Noble and most major retailers. Visit Alan at http://wrestlewithdarkness.ning.com/profile/Alan. Balogun Ojetade – Author of the bestselling “Afrikan Martial Arts: Discovering the Warrior Within” (non-fiction), “Moses: The Chronicles of Harriet Tubman” (Steampunk) and “Redeemer” (science fiction); and screenwriter, director and producer of the feature film, “A Single Link” (martial arts drama). Visit him: https://chroniclesofharriet.wordpress.com/. Milton Davis – Milton Davis is owner/publisher of MVmedia, LLC . As an author he specializes in science fiction and fantasy and is the author of Meji Book One, Meji Book Two and Changa’s Safari. He is also co-editor of Griots: A Sword and Soul Anthology. Visit him: http://www.mvmediaatl.com and www.wagadu.ning.com. Wendy Raven McNair – is a wife, mother, artist and author of the Young Adult novels, Asleep and Awake. Visit her at http://wendyravenmcnair.com/page19.php. Posted by Balogun on April 28, 2012 in Uncategorized.